Post your unpopular Disney opinion here. Express your opinion about not only DP but Disney in general. Please be respectful about each other's opinions and don't bash someone because of it. Say "I disagree/agree with you because..." I'm sure everyone is mature enough to handle it. My opinion: Frozen is overrated and not even that good. I love Rapunzel's Forced Humor. Because it fit her just right. If she didn't have forced humor she would have been really cheesy. Snow White is smart and proactive. I feel like the Frozen Fandom (Not counting the people I like) is a bunch of immature kids, who haven't seen a single other Disney movie before in their life. I know I'm going to get hated for that one. But really they chase me away from the Disney Fandom. Aurora is HIGHLY overrated in the beauty department, she's not gorgeous or stunning. She's beautiful but nothing special and is quite average. Her skin is PINK!!!!!!!!!!!!!!!!!!!! Does that not bother anyone else? Anyway she's supposed to have golden hair and red lips but instead she has bleach blond hair and colorless lips. I think Flora's wand was low on batteries when she gave her the gift of beauty. Merida is one of the most beautiful Disney Princesses. Shang is a very developed and great character. People say he is too serious, but he was in the army for crying outloud! We saw his awkward, and sweet side. We saw his personality and it is not serious. He had to be serious for the army or they wouldn't take him seriously. I laugh at Tangled haters, because they give the lamest reasons of why they hate the movie. I hate the princesses' redesigns. They look much better in the movies. Too much glitter and not all of them are supposed to have curls. The Cinderella face character looks too celebrity-like, and Aurora and Belle's dresses are too pale. I am not a big Kristoff fan. He is not as entertaining to me as Flynn and Naveen, my top 2. I adore the soundtrack to The Princess and the Frog! It is one of my favorites. It's catchy and mesmerizing, as well as emphasizing different types of music. The 2D version of Rapunzel is really bad! She does not look pretty at all! Or herself at all!! I don't understand why people think it's better than the original CGI! Merida is almost as bad! She just looks so girly and out of character. Elsa is not complex. She is developed, but not complex. People say she is complex and all, but they don't even really know what the word complex means. Complex means they are hard to understand and I guess their character is not very straight forward. Tarzan is a complex character, Frollo is complex character, but as much as I love her not Elsa. People blindly say that because they relate to her. Eric isn't a bland character. He is romantic, dreamy, and well developed. I also hate how he's criticised for falling for Vanessa. They tend to forget that SHE CAST A SPELL ON HIM! HE HAD NO CONTROL!! Mini rant over. 1) Cinderella isn't a passive character. 2) Ariel is a spoiled brat (I love her but it's true) and don't say that it's a common opinon, because when I mention it, there will always be 5 or more fans who will immediately try to defend her. 3) I don't find Rapunzel's eyes ugly. Ok they're big, but it's a CARTOON! 4) Elsa doesn't care only about her powers. I think the Disney Renaissance in the Worst Era for DP movies. The Classic Princesses aren't as similar as people say. I don't get why some say that the Princess and the Frog was bad. I've seen it and I like it. I don't care about the animation of a Disney movies. I just want the movie. While 2D is prettier, CGI has more detail it in. Jasmine is not a spoiled brat who likes to shout and has a bad temper. Snow White and Tiana are my two favorite princesses. And, I think both are very underrated. Cinderella has the best message out of the DP movies, and "A Dream is a Wish Your Heart Makes" is my favorite DP song (it's actually my favorite song ever). Merida wasn't being selfish when she went to the witch. She was being impulsive, but she did try to fix it and apologize in the end. My favorite song in Tangled is "I've Got A Dream". I know like everyone's favorite Tangled song is 'I See The Light", "Mother Knows Best", or "When Will My Life Begin/Reprise", but I like this one. It feels the most like a musical to me. And my second favorite song in that movie is the Healing Incantation, another unpopular choice. I'm sorry. But honestly, I don't uderstand how people like a princess like Snow White. I know she's sweet and kind and a good housewife. But she's so Mary Sue. She does nothing but wait for her prince to come. When people say she's better than Mulan or Poca, I don't understand them. 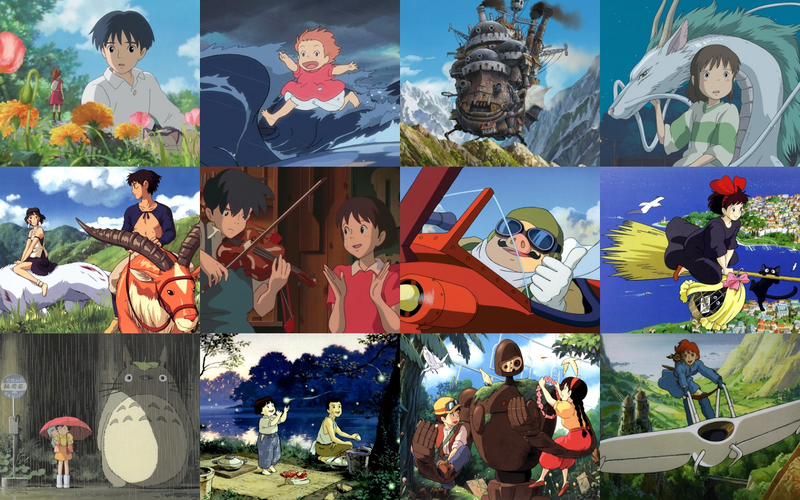 I like most of the Ghibli females way more than the Disney Princesses. Mostly San, she's way cooler than Mulan. And disney need to make cooler females. 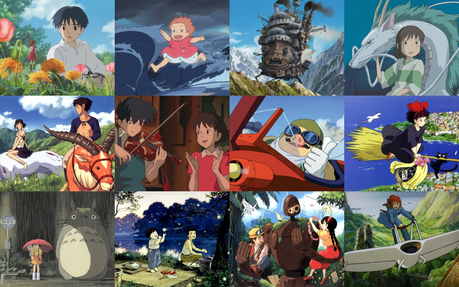 Most of the DP's have a long time to go to be as cool as Ghibli girls. I never liked Ariel. Something always bothered me about her, even when I was a kid. It wasn't until watching the film again in high school that I realized I think she's a spoiled, selfish, self-entitled, inconsiderate brat that rarely thinks or cares about anyone but herself and what she wants. I'm sorry if I offend Ariel fangirls, but that's the way I've always seen her. I really hate Beauty and the Beast and Mulan. The fans all over the place make them both really overrated. Their the films you have to like to be a Disney fans. I see no problem with Snow White (and other female characters, for that matter) being seen doing housework and enjoying it. I don't think it reduces their worth as a woman or makes them weak or submissive. Every human being needs to live in a clean, decent enviroment and it's easier to whistle merrily while you work than moan and groan like it's some sort of medieval torture. My favorite Frozen song is Frozen Heart, not Let It Go. In fact, Let It Go does nothing for me.